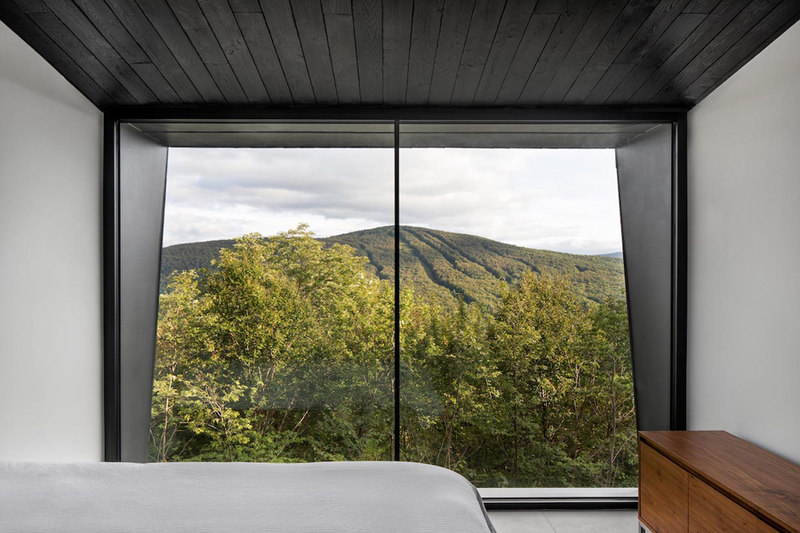 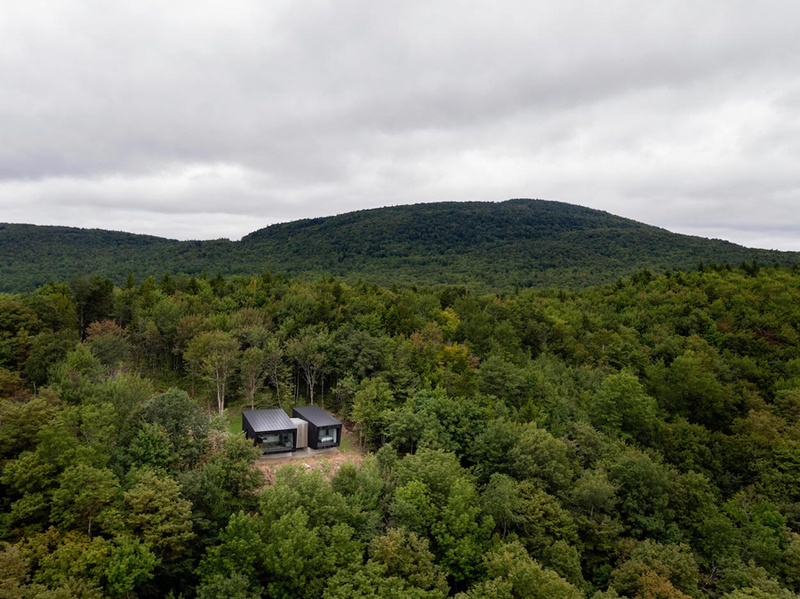 La Binocle is a minimalist home located in Quebec, Canada, designed by _naturehumaine. 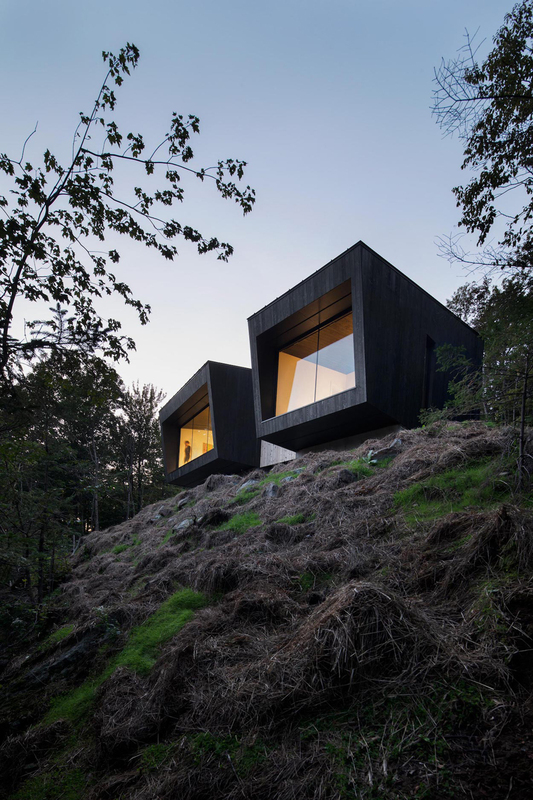 The architects wanted the building to blend in with its surrounding landscape, thus the angular volumes perched on top of the rocky cape, which was used to anchor its raw concrete foundations. 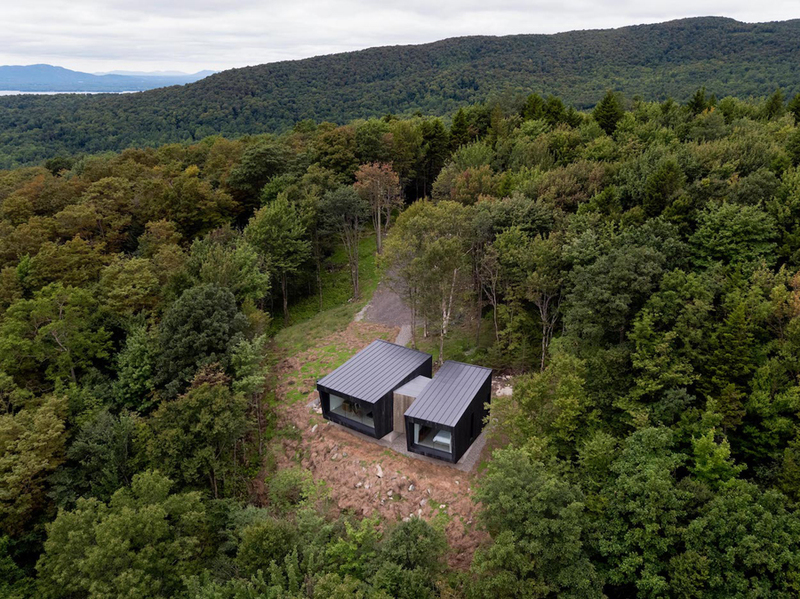 The first module contains the main living areas, while the second volume is composed of two bedrooms. 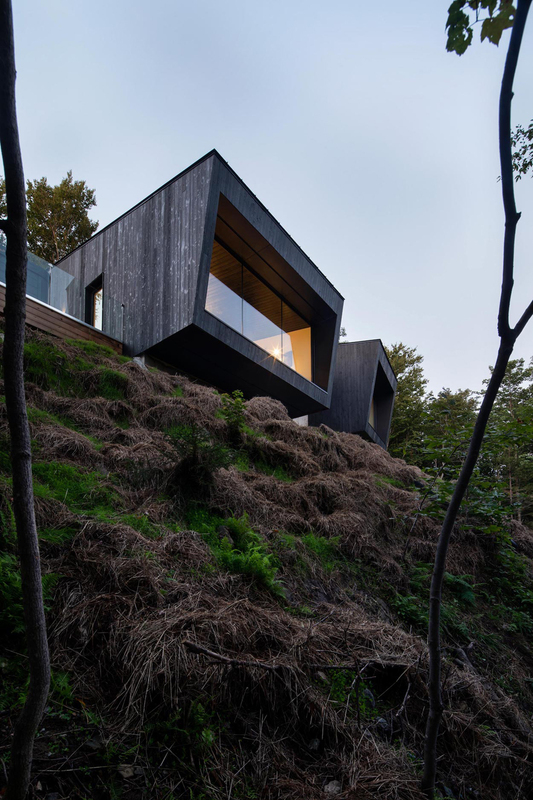 The sloped roof further reinforces an assimilation of the building with its surrounding environment, creating a sensation of sliding over the natural sloped cliff. 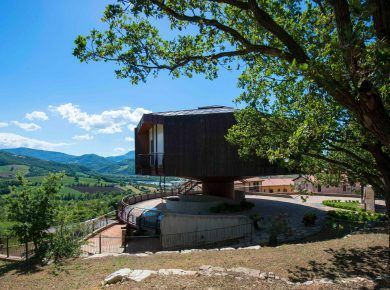 An overhang provides shade during the hot season while emphasizing the spectacular views beyond. 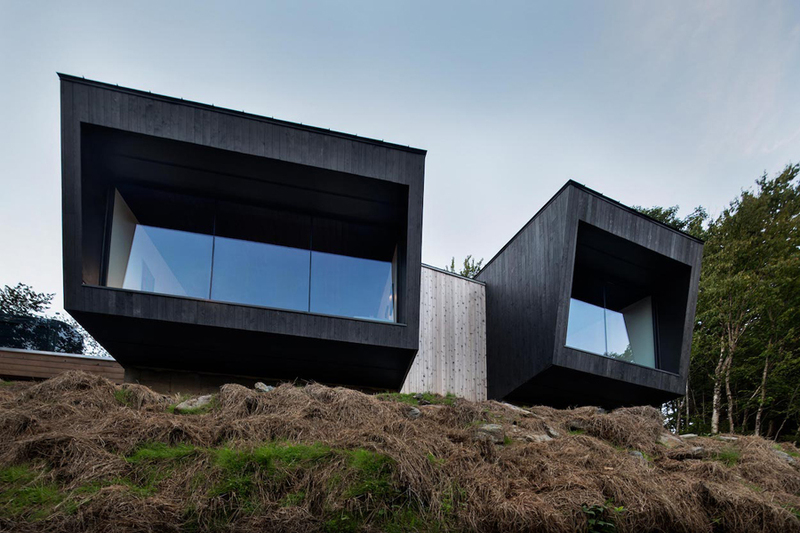 Burnt wood was used throughout the exterior to create a natural palette for the facade. 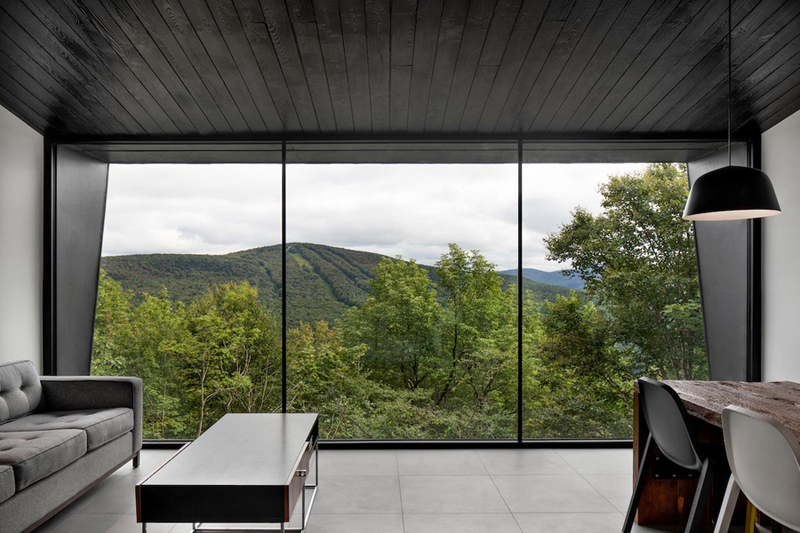 The focal point of the main living areas was to provide panoramic views for the residents. 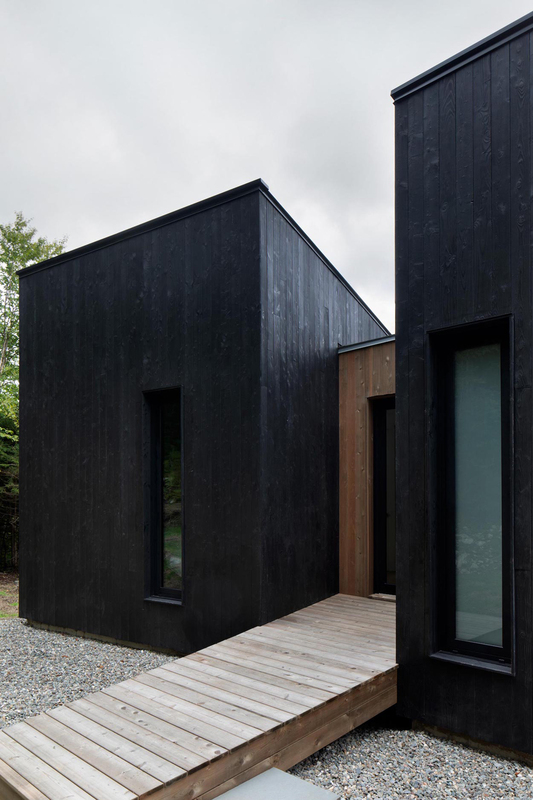 If you like this black wooden house you might be interested in in other creative modern wooden houses.